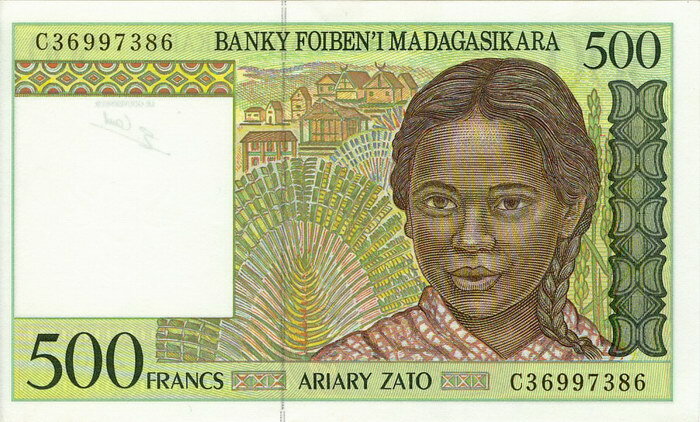 A Malagasy banknote issued by the Central Bank of Madagascar. On the front of this 500 Franc note is a picture of a Malagasy girl. In the background are some Travellers Palms (Ravenala madagascariensis) and a village. 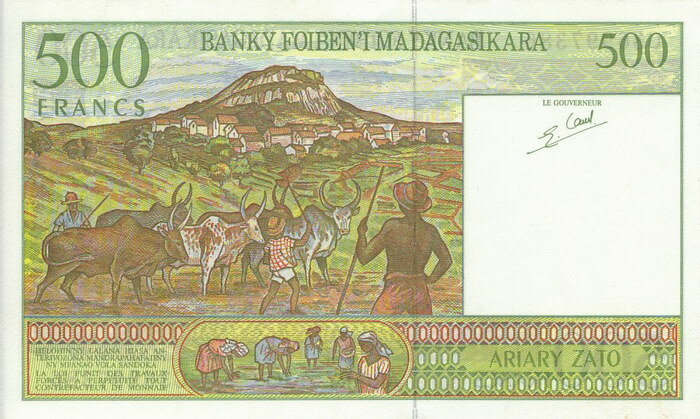 On the reverse are scenes of men herding zebu and women planting out rice.